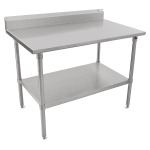 The John Boos ST6R5-2472SSK work table is made of stainless steel to resist corrosion and scratches. Noise in the kitchen is reduced by the sound-deadened top, which is reinforced by a 1-inch-by-2-inch channel and is TIG welded for strength. To keep messes contained to the top, there is a 5-inch backsplash. 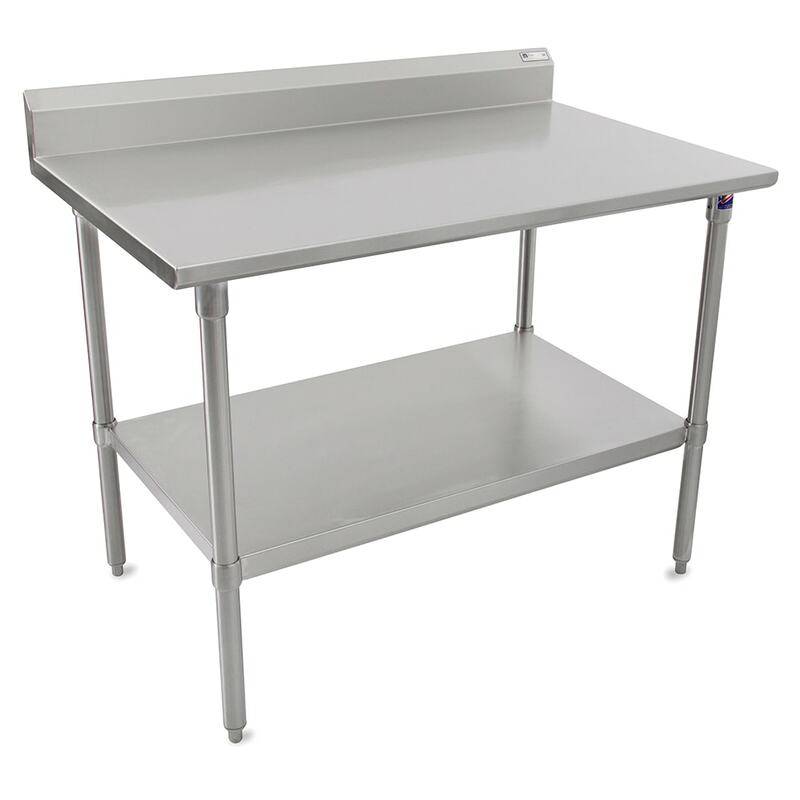 With the side edges turned down 90 degrees, the John Boos ST6R5-2472SSK work table can be placed flush against other equipment. The front edge has a stallion design that protects staff from injuries due to sharp edges. For more information on commercial work tables, as well as equipment stands, visit our table and stand buyers' guide.